For this project, we had to choose a artifacts from one of the four ancient civilisations and explain why the artifacts is a voice of the River valley. 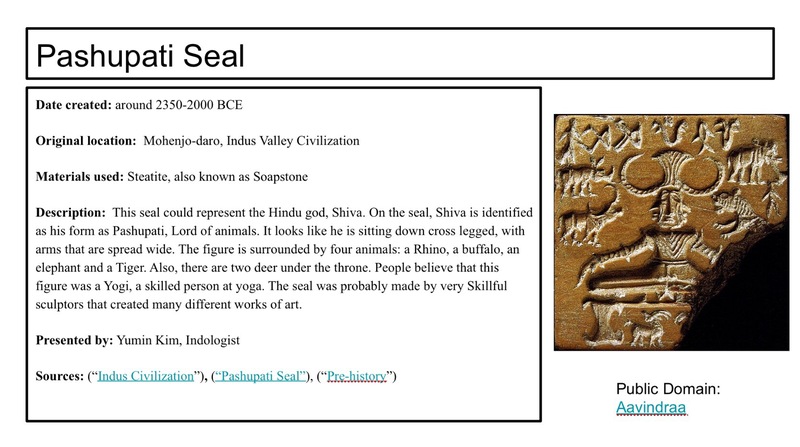 I chose to research about the Pashupati seal. I was able to find many different and interesting facts about it. I filmed a video of myself talking about why the artifacts is a voice of the River valley and I made a plaque of a brief information about it.